What are our Senators in New York doing to address this issue? The GOP saw through Rep. Bill Shuster’s motives and his close relationship with A4A. The House Republican leadership is shelving plans to pass an overhaul of the Federal Aviation Administration, a major blow to House Transportation Chairman Bill Shuster of Pennsylvania, according to multiple senior aides. Flake and McCain are on the ball. Where are our NY senators? U.S Sens. Jeff Flake (R-Ariz.) and John McCain (R-Ariz.) today introduced the Airspace Management Advisory Committee Act. The bill – which stems from the Federal Aviation Administration’s (FAA) failure to engage with communities and airports before altering flight paths into Phoenix Sky Harbor Airport – would require the FAA to create an airspace management advisory committee to review and provide input on future significant airspace changes. The legislation builds on a recent bill by Flake and McCain to require the FAA to engage with communities and airports before altering flight paths. It’s the latest example of the Transportation Committee chairman’s coziness with the airline industry. The Airlines have the politicians in their back pocket, (or gets in bed with, literally). Our politicians should have the citizen’s best interests top of mind. Taber has got it right. Recognizing that aviation noise is a public health issue that can no longer be ignored, the Aviation Innovation, Reform and Reauthorization Act of 2016 (AIRR) contains several provisions that seem to address the problem of aviation noise. Section 614, for example, will increase community involvement in processes that may increase aviation noise. Section 604 requires the FAA to review the relationship between aircraft noise exposure and its effects on communities around airports. And Sections 137 requires the FAA to revisit its methodology for assessing aviation noise, while Section 138 requires the FAA to revisit certain actions for which a categorical exclusion was taken. These are steps forward in setting up a more responsive aviation noise regulatory framework. However, without enforceable aviation noise standards, these provisions mean very little. Washington, DC – Today Rep. Ruben Gallego and 14 cosponsors introduced the FAA Community Accountability Act to give local communities a say in the Federal Aviation Administration’s decision-making process regarding flight paths. The FAA Community Accountability Act would establish a new process to compel the FAA to reconsider existing flight routes that are exposing residents to unacceptably high levels of aviation noise. The legislation would also end the presumption under current law that flight paths implemented through the NextGen program may not follow pre-existing routes, even when these paths better reflect land use around the airport. The bill would designate Community Ombudsmen to serve as effective, independent voices for airport communities within the agency. Finally, the bill would prevent the FAA from bypassing the environmental review process for new flight paths over the objections of local communities. The bills original cosponsors include Reps. David Schweikert (R-AZ), Mike Quigley (D-IL), Steve Israel (D-NY), Ann Kirkpatrick (D-AZ), Anna Eshoo (D-CA), Katherine Clark (D-MA), Stephen F. Lynch (D-MA)Eleanor Holmes Norton (D-DC), Joseph Crowley (D-NY), Gregory Meeks (D-NY), Grace Meng (D-NY), Kathleen Rice (D-NY), Alan Grayson (D-FL), and Don Beyer (D-VA). With the Federal Aviation Administration (FAA) doing virtually nothing to mitigate the barrage of increased airplane noise over Queens, U.S. Rep. Grace Meng (D-Queens) introduced legislation that would require the Environmental Protection Agency (EPA) to take the lead in combatting aircraft noise over the borough, as well as in affected communities across the country. The Congresswoman’s bill is cosponsored by Reps. Joe Crowley (D-Queens/Bronx), Steve Israel (D-Queens/L.I. ), Kathleen Rice (D-L.I. ), Nita Lowey (D-Westchester), Katherine Clark (D-MA), Ruben Gallego (D-AZ), Raul Grijalva (D-AZ), Ann Kirkpatrick (D-AZ), Eleanor Holmes Norton (D-DC) and Mike Quigley (D-IL). As of today, JFK air traffic controllers have switched from the combined used of 22L and 13L for arrivals, to 22L/R full time. What does this mean? Remember how terrible the noise and air was in April (just before runway reconstruction)? It will be worse than that. 22R was modified wider and longer to accommodate the heavies. Good luck getting any rest going forward, and prepare your lungs to inhale the particulate matter emitted from the aircrafts above from now until Congress figures out how to stomp out NextGen (not likely). Problem is, the airline industry has powerful lobbyist (Global Gateway Alliance) who are fighting very hard to keep NextGen alive. Corrupted officials’ wallets are getting heavier, while Autism runs rampant on the Island. Goodbye to your welfare, and good luck. 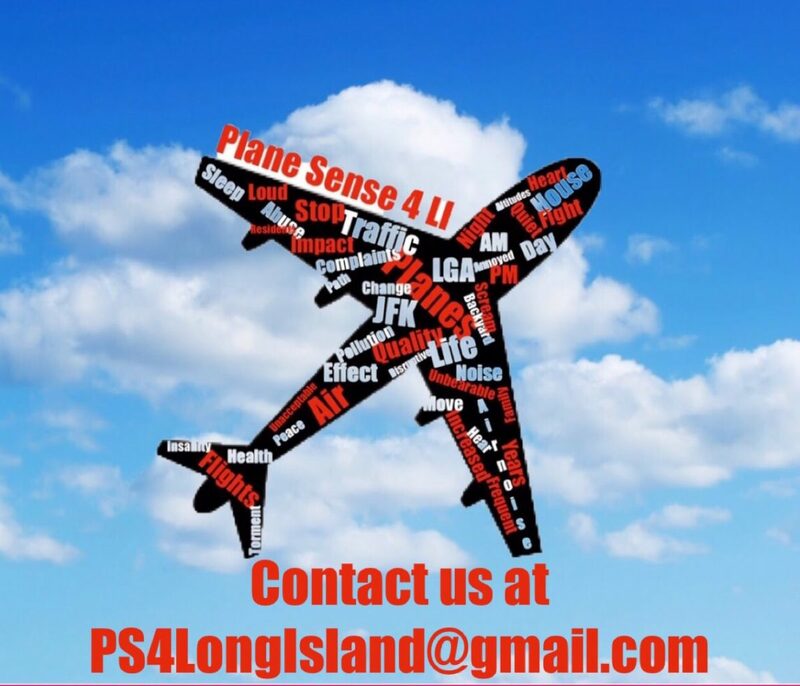 Nassau County Aviation Committee Meeting Tuesday April 30.